A win against the Italian champions sounds impressive until you realise that they were only taking the Serie A title by default and they only had half a team out to face Spurs, who were themselves under-strength. However, the win keeps the pre-season series of wins going and while the game was played at a walking pace for much of the time, there were elements which show there are good things to come. Although you wouldn't have thought so going home, listening to Spurs fans on the radio. It's not even the end of July and the moans are starting already. Not that I should be surprised, because from my seat, I was surrounded by non-regulars, who took a pop at most players while they could. Murphy had only touched the ball once before the whingers got into him and Defoe and Davids were also targets. It really disappoints me that people can't go to support their team. It wasn't as thought they played badly considering they are still three weeks from the start of the Premiership campaign. The touch will improve and the team will gel better and when they play the first choice eleven, it will probably look a lot better anyway. Some high points included the two goals that Teemu Tainio scored - one from midfield and the other from right back. The fact that Martin Jol played three different formations in the match and they worked well. The form of Benoit Assou-Ekotto, who put in another solid performance at left back. The downside, which not many others seemed to comment on - a row between Tainio and Davids that the ref had to step in to defuse; the lack of precision in the passing that lead to possession being given to Inter and the lack of chances created for Berbatov and Defoe. As the game started in hot sun, there was not going to be a great deal of Premiership style football played. Spurs seemed content to try and keep the ball, while Inter picked it off when they could and made quick breaks to try and catch Spurs out. Playing from the start in an advanced Carrick-like position, although Huddlestone was the one sitting in front of the back four, Tainio pushed forward from the start. He had two efforts in the first ten minutes and was unlucky when his volley was deflected wide of the goal. Also going for goal was Huddlestone, who flung himself at Keano's cross, but he put the glancing header well off target. Hud slipped an astute pass through to Berbatov on 20 minutes, leaving him to drag two players towards him and spinning away to the right of the goal and hitting a low shot that Samuel had to slide in to put out for a corner. As the dead ball kick came in, Toldo rose to punch away and then punched again, spectacularly, as Robbie fired in a volley from the clearance. 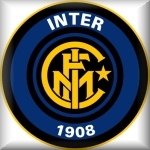 As play switched to Inter's players, they moved the ball well, but Tottenham allowed them too much time on the ball and a cross from Stankovic was met by Obafemi Martins' head and Cerny had to scramble along his line to palm the ball round the post. Inter had a little spell where they pushed Spurs back and this experience will be useful once our UEFA Cup campaign begins. Crosses came in and Davenport and Dawson dealt with them well, while Dacourt tried to catch Cerny out with a snap-shot from the right corner of the box, but was way too high. Spurs played a completely different game to the one they came out with in last season's pre-season friendlies. Keeping the bal at the back, without an over-powering desire to hit the long ball and using Berbatov as a runner after the ball over the defence rather than as an out and out target man. However, he showed that he can play that role, as Davids picked out his head and the ball dropped into the path of Keane to strike a looping volley that Toldo did well to dive and push aside once more. The next time we attacked, Defoe was dragged down and a free-kick was awarded by Mike Dean. He was involved straight away, when Davids and Tainio were having a spat and the ref had to move between them to keep the peace. Whatever it was about, the two players kept a distance for the rest of the game. With the free-kick hit at the keeper by Keane, it looked like a goal might not be forthcoming. However, when Assou-Ekotto took the ball from Cerny's throw out, he passed to Davids inside him and he put aside his differences to lay a pass square to Tainio and his 30 yard shot grubbed along the floor and might well have been saved had not Marino got a touch on it that left Toldo stranded, going the wrong way. It was not quite the goal Spurs had been looking for, but one they accepted just the same. The Inter defender had a chance to atone soon after, but when a corner fell to him, his shot cleared the bar by some considerable meterage. It was a hint of things to come, as a good spell of possession saw Tottenham let Maicon stride forward from right back and when he fired in a low shot from outside the area, Cerny could only parry the ball to his right, where Martins had lost his marker to put the bal into the net before the Czech keeper could recover his ground. It was a soft goal and one that could not have been conceded at such a poor time, coming just two minutes before the interval. With Fulop coming on for Cerny and Solari replacing the unfortunate Marino, the second half kicked off in strong sunlight. Defoe hit the first effort of the second period, without causing Toldo to fret, but his involvement was limited due to the service he failed to receive. He looked keen and made some good runs off the ball, but it did not arrive and his contribution appeared poor, but when Lennon and a left winger are installed, he might fare better. Davenport leapt highest to meet Keane's free-kick, but could not fire his header on target and the second half settled into a pattern of the teams making good progress up the pitch before producing a misplaced pass and the other team doing the same. To say the match had gone flat was an understatement. The crowd was quiet and when some of the occupiers of the Director's Box left with fifteen minutes to go, you thought that perhaps they might have got it right. Just before they went, they saw Martins strike a 35-yarder which dipped but not enough to trouble Fulop, who I can't remember having to make a save. Ghaly came on for Huddlestone, making Tainio drop back to right back and Routledge moving into midfield and Ziegler for Defoe, but the width that you would have expected from the moves failed to materialise, as Jol shape-shifted the team into a 4-3-3 and then a 4-5-1 formation. But perhaps the width to the team is not the be-all and end-all of the side's success. As the team struggled to find a decent tempo, Tainio slid in on the touchline in front of the East Stand ten yards inside his own half to take possession of the ball. He moved up the line and with players moving away from him and taking markers with them, the Finn kept on going. When he got 20 yards from goal, Berbatov made a move to take a player away from Tainio and created the space for him to line up a curling left-foot shot around a defender and out of Toldo's reach that left the ball nestling in the bottom corner of the net. It was an especially well taken goal, particularly after the long run and at that stage of the game and showed what Teemu is capable of producing. Lots of people were saying that Stalteri might struggle to get back into the side now, but I think Tainio's best position is in midfield and although there is more competition there, I think MJ will be looking to bring in a new right-back to challenge the Canadian, although Phil Ifil is pushing to come into that position. There was still time left for Ziegler to fire in a shot, when set up by Ghaly, who had a better shooting opportunity himself. While the crowd rose to celebrate number three, the ball had hit the side-netting and the game ended soon after to bring to a close a useful work-out without it being too physical. Having lost Ledley King already through a training ground injury, the win without any further mishaps is as important as anything else at this point in the team's preparation. Without Zokora, Lennon, Jenas, Lee and the soon-to-be departing Carrick, the team did well without excelling and whatever the opposition, you still have to beat them and Spurs achieved that. After last season's winning run through the Peace Cup and in the lead up to the first league game, it set the confidence for the long league programme ahead. That earned Spurs fifth place in the final table. If this keeps going, who knows ? Hmm ... remind me why England were favourites to win the World Cup this year ... Oh that’s it, the year ended in 6 and as it’s 2006 and the last time you won the world cup was 1966. How do you like you’re medicine ? Lesson no 1. Fans in glass stadiums should remember Football is only our religion” exp. Worshippers believe in god, supporters believe history will repeat itself. I was disappointed with the line up’s today, it was only a friendly nothing too serious, so couldn’t the likes of Cesar, Figo, Materazzi, Adriano, Robinson, Jenas, Lennon, Zokora get a show ? Two names from either side would have made the two hour journey each way worth while. However, as I only live 5 minutes from Stevenage Borough I think my money would have been better spent closer to home. Friendlies like this are just a kick about with players who are content to play. As a Spurs fan today’s game was about as serious as Bergkamp’s testimonial. I think the only time when I saw a manager of either team get off their seat was when Jol was ask to give a wave by the fans. Only a person that doesn’t understand the offside rule will base their hopes for us next season on this game. But ! And it’s a big but ! I was quite happy to see a player I didn’t recognize get a decent run and begin to ask question’s as to who he was. The impressive Carrick understudy stood up to the task like he was Lennon being asked to fill in for Routledge (fingers crossed !). I’ve read about Huddlestone; now I’ve seen him. I’m happy ! £15m+ for Carrick ? Still Happy ! If you offered me at the beginning of last season 5th place and UEFA, I’d have snapped your arm off for it. Would I be happy for the same result at the end of this season ? Yea, two seasons running. Then let them say we’re not a big club. How many years have Arsenal been in the Champions League? Won it yet ! I got something out of today; I think I have the answer to jibes about losing Carrick.